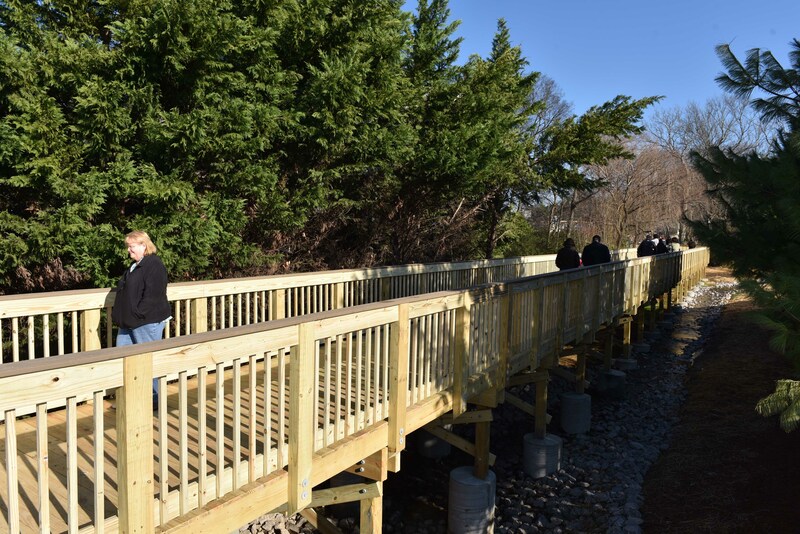 The Tanyard Springs Walking Trail opened Dec. 3, 2015, along a scenic creek in the Tanyard Springs neighborhood. This grant-funded walkway provides students near Heritage Elementary and Middle Schools; Spring Station Middle; and Summit High School complete walking routes to school, and creates a new recreational opportunity for neighboring Spring Hill subdivisions. The 10-foot-wide, elevated, boardwalk-style walkway spans 230 feet over a small creek along the edge of the Tanyard Springs neighborhood connecting into an existing walkway constructed by the Town of Thompson’s Station. The new section was funded through a $69,686 Tennessee Department of Transportation Enhancement Grant, along with a $30,000 additional contribution by the City of Spring Hill.